Copper peptides have an impressive clinical pedigree going back to the 1970s. Have been in skin care products for past 20 years. They are regarded as one of the most potent skin regeneration actives. Copper is something that exists naturally in our tissues. One of the main roles of copper is being anti-inflammatory. Copper peptides are naturally occurring small protein fragments that have high affinity to copper ions. Copper peptide GHK-Cu combines the element copper with three amino acids, making it a tripeptide. The level of tripeptide GHK-Cu naturally occurring in the body reduces with age. In human plasma, the level of GHK-Cu is about 200 µg/ml at age 20. By the age of 60, the level drops to 80 µg/ml. 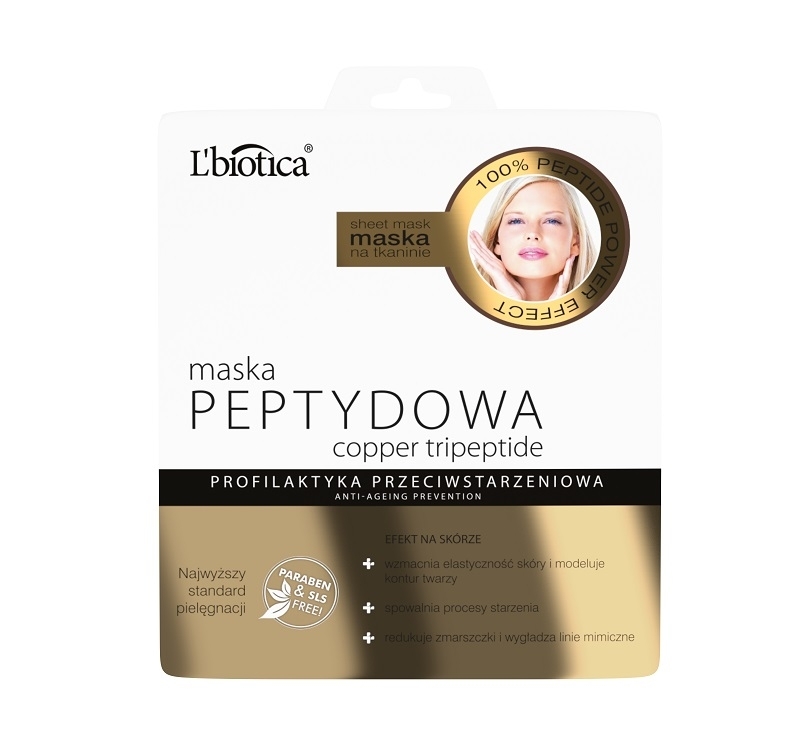 The copper peptide promotes collagen and elastin production and also acts as an antioxidant. It also promotes production of glycosaminoglycans. Clinical studies have found that copper peptides also remove damaged collagen and elastin from the skin and scar tissue because they activate the skin’s system responsible for those functions. Copper is the key mineral in lysyl oxidase, an enzyme that weaves together collagen and elastin. Recent studies revealed its ability to modulate expression of a large number of human genes, generally reversing gene expression to a healthier state. Synthetic GHK-Cu is used in cosmetics as a reparative and anti-aging ingredient. Like we wrote above, copper peptides have antioxidant and anti-inflammatory effects and can promote wound healing, collagen stimulation and attraction of immune cells. In skincare it is mainly used as an anti-ageing ingredient, but is believed to also help with general skin health, including improved skin texture and treatment of scarring. In anti-ageing products it generally appears in lower concentrations of less than one per cent. GHK is incredibly gentle with very little chance of any sensitivity or reaction in even the most delicate skin. It is an alternative to Retin-A or other ingredients that can cause redness or be irritating to the face. Spectacular results, along with better skin parameters, make peptides an extremaly popular method of non-invasive rejuvenation. Excellent results are achieved by the use of a sheet mask, soaked copper tripeptide serum, which slows down the aging process, reduces wrinkles and helps smooth expression lines. This is a very effective anti-aging prevention.